A Project List works a lot like a wish list—simply browse through the website and select the products you’re interested in, and add them to your Project List. 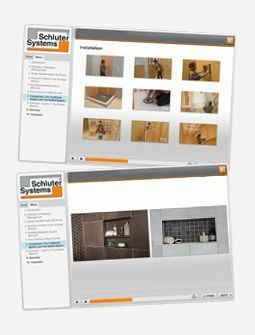 Once complete, share your saved Project List with your contractor, a friend, or send it to an Authorized Schluter Dealer to get their expert advice. It’s simple! Create a blank list, give it a name, and save it. Your project list will then be available when you click the “Add to Project List” button on any product page. Not sure which products you need for your project? No problem! We’ve put together some Project Templates containing the products you’ll need for the most popular projects.